John C. Whitehead was the former chair of Goldman Sachs who set an ethical standard as to what a banker was and still should be today. In reading the articles below, both posted on New York Times’ DealBook, you see a moral standard that we can all take a few notes from. The storied career that John C. Whitehead led over the past 70 years or so is virtually impossible to imagine on Wall Street today. Mr. Whitehead, the former Goldman Sachs boss who died on Saturday at age 92, was not just instrumental in developing the global investment banking model that largely still exists. He also took on prominent positions in public service after he left. Goldman was a 300-person firm specializing in commercial paper when he came aboard. By the time he left in 1984 to became a deputy secretary of state for President Reagan, Goldman had become an international equity, bonds and mergers powerhouse. Mr. Whitehead later took on roles at charities and nonprofit groups, including the International Rescue Committee and the New York Boy Scouts. He was the first chairman of the Lower Manhattan Development Corporation, set up to help rebuild the financial district after the Sept. 11, 2001, attacks. And he was still chairman of the Goldman Sachs Foundation when he passed away. John C. Whitehead, for decades one of New York’s most prominent citizens, a veteran of D-Day who capped a lauded career on Wall Street and in the State Department by shepherding the first years of the city’s fractious effort to rebuild after the 2001 terrorist attacks, died on Saturday at his home in New York. He was 92. Haverford College, from which he had graduated and where he served on the board of managers, announced his death, saying the cause was cancer. 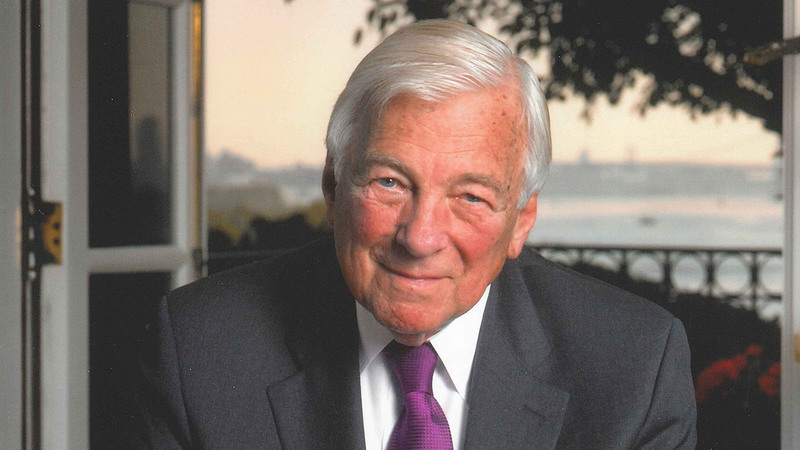 The columnist Liz Smith once called Mr. Whitehead the “chairman of the establishment.” He helped pilot Goldman Sachs to the forefront of investment banking and led the boards of Harvard, the Asia Society and the Federal Reserve Bank of New York, among other institutions. As deputy secretary of state in the Reagan administration, he helped wean the countries of Eastern Europe from the Soviet Union. Mr. Whitehead’s stiffest challenge came as he neared his 80th birthday, when Gov. George E. Pataki of New York asked him to be chairman of the Lower Manhattan Development Corporation. A state entity, it was given the mandate to rebuild the shattered site of the World Trade Center towers and revitalize downtown Manhattan.